Two-story atrium with gorgeous ocean views. 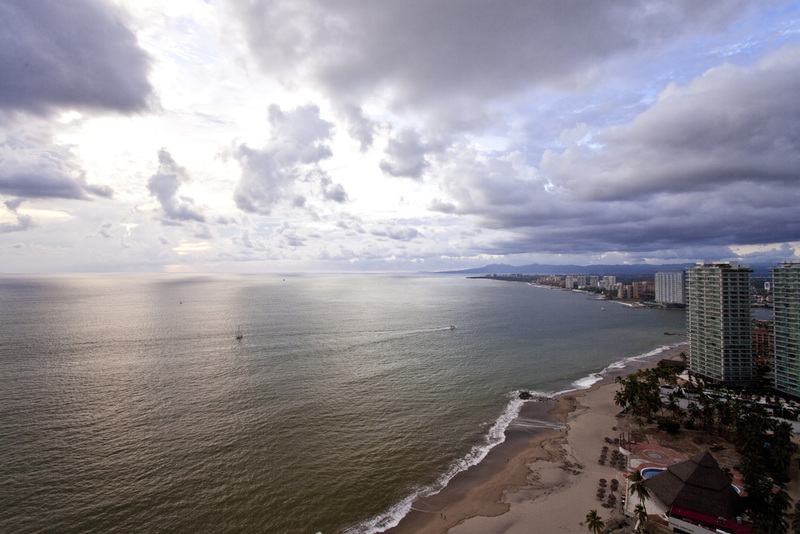 Vallarta Penthouse oceanront terrace view. Oceanfront Puerto Vallarta rental condo. 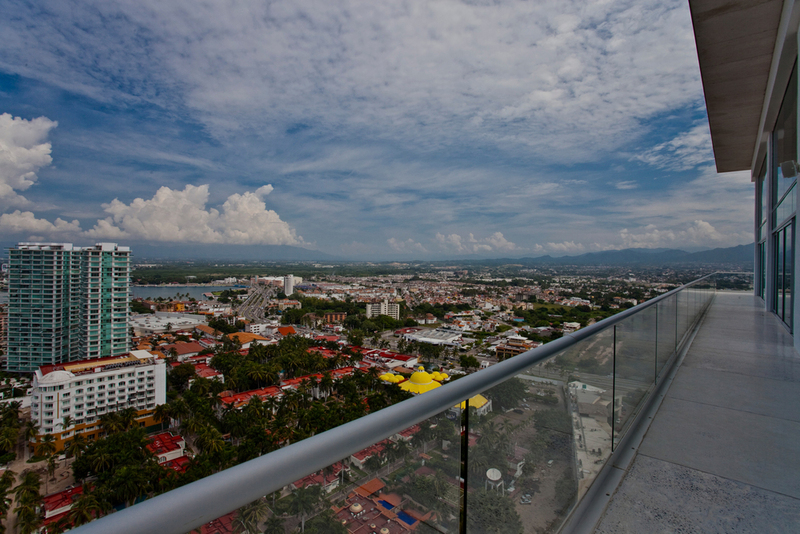 Puerto Vallarta rental condo has formal dining for 10. 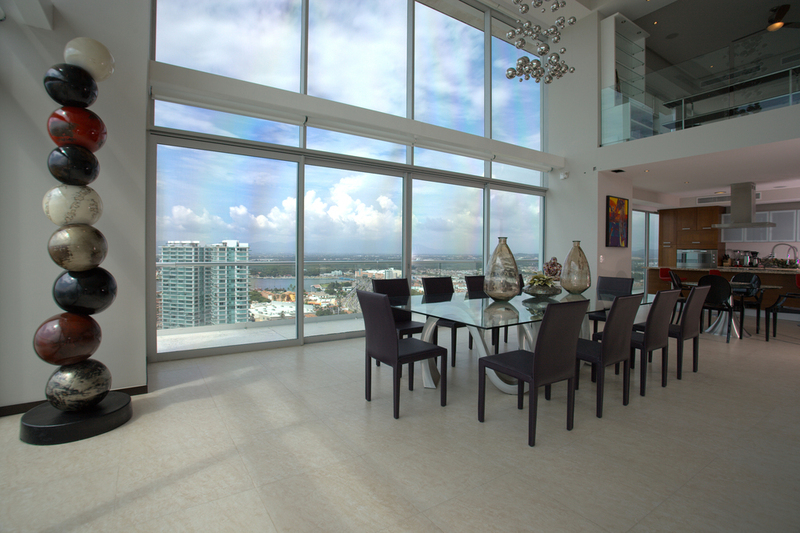 The living/dining atrium of Puerto Vallarta penthouse.